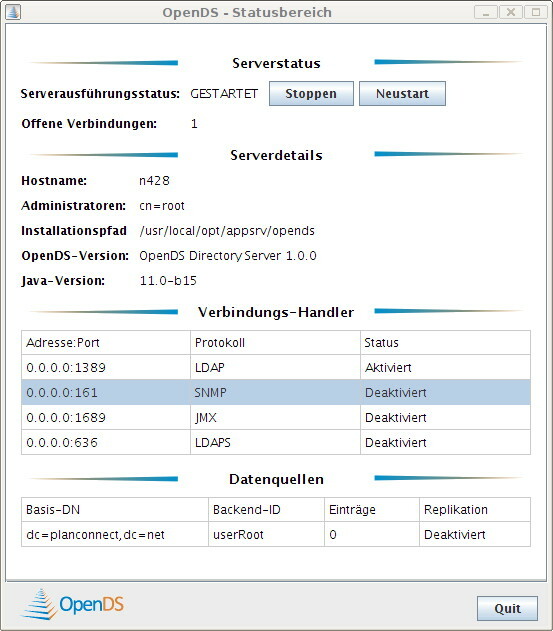 While getting my diploma thesis done, I spent quite some time dealing with various implementations (both open-source and “proprietary”) of the LDAP protocol in order to get a unified naming and directory structure introduced to our environment. These days, dealing with many of the tools available so far basically was about spending quite some time on getting infrastructure set up and running, just to figure out the application doesn’t meet the requirements in one point or another, which was quite annoying at times. 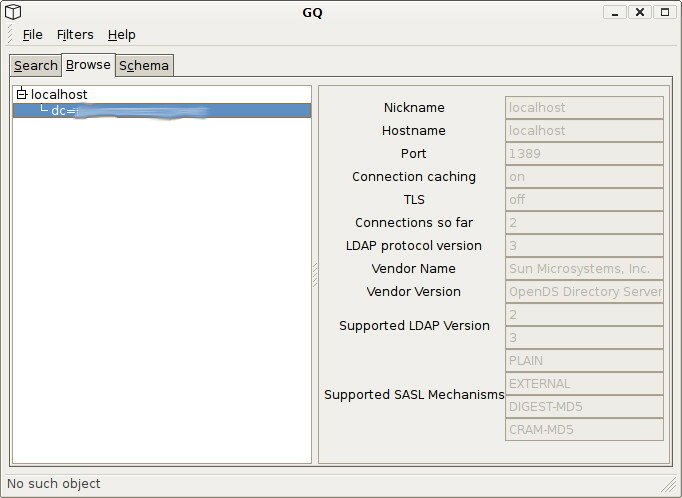 Well, what to say, before I am about to do some more test-driving using OpenDS: Haven’t had a working LDAP server up, basically configured and running in a time as short as this. Overally, OpenDS, at the very least talking about installation and “getting-started”, has proven how easily even server software could be deployed if just someone spent some time on getting this done right.